Somewhat ashamedly, I spent a week in Portugal and did not have a single drop of Port. Fail. I had plenty of beer (Superbock and Sagres), tried many non-fortified wines (red, white and the unbelievably drinkable Vinho Verde) and even drank the morello cherry brandy Ginjinha from a tasty chocolate shot glass.Yet, not a smidgen of port. Not much of a drinks blogger, eh? Oh well, at least I had some Tomatin samples waiting at home and they just happen to be the new 14 year old Tomatin Port Wood Finish and the Tomatin 1988 which is vatted from a combination of ex-Bourbon and ex-port casks. Basically the same thing as drinking port in Lisbon yeah? Nose: Not a great start. A little hint of paint at first but moves into an over-sweet artificial butterscotch. Does start to soften up though and the sweetness becomes more like a rich honey with dried apricots. Develops in to baked cheesecake and some livelier red berry notes. Palate: Again it has a strange start, a little metallic and quite astringent. However, some syrupy fruits start to come through. Mango and peach in syrup at first and then some yogurt coated apricot. A very enjoyable, chewy, dried mango note is predominant with a nice vanilla sponge background. Finish: That lovely, chewy mango note lingers and compliments the vanilla notes which have grown very well. Persevere with this, a slow start but a lovely end. Nose: Much better straight from the start. Plenty of lovely stewed fruits. Soft berries, hot jam dougnuts and some fresh ground pepper. Hints of stewed orange and peppermint. Palate: Smooth and sweet with a gamy tinge to start. The sweetness pushes through with a buttery Caramac note, popping candy and vanilla sponge. Then comes the red berries (very jammy) and some fresh plum. The mint is there again and fits in with the ever present oak and pepper side notes. Finish: Great intensity, slightly spicy and peppery. Lots of depth. 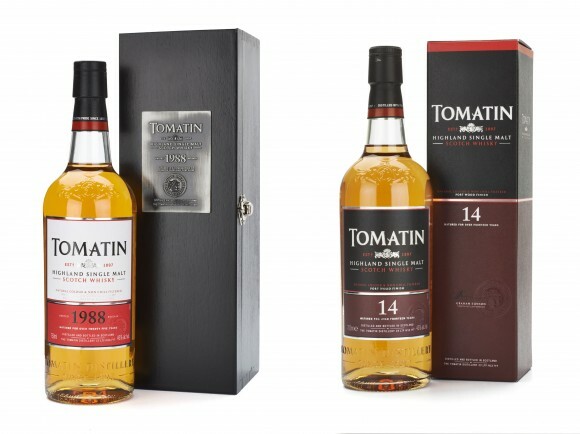 Overall: Two very interesting additions to the Tomatin core range. 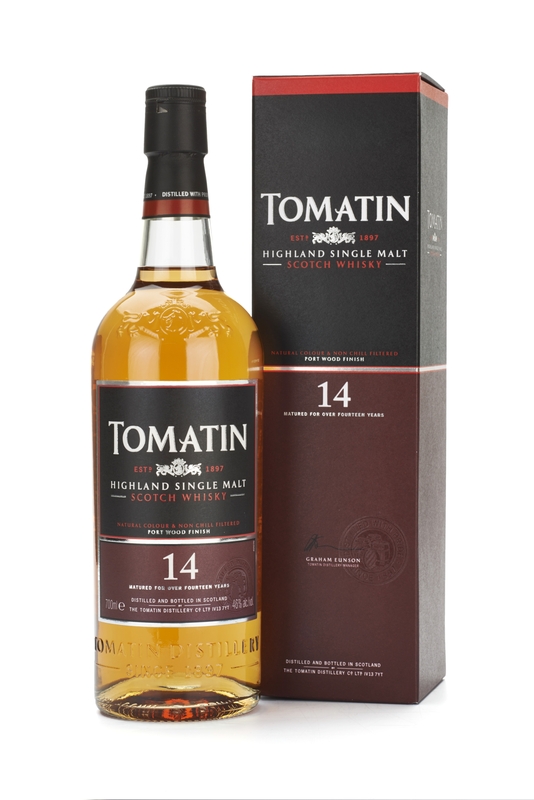 The Tomatin 14 year old Port Wood Cask is not that impressive at the start but grows into a good whisky. It also grows into an interesting whisky. Well balanced, nice fruits, good vanilla but for me it is just making up for the initial unpleasant notes. Not a bad price in my opinion but I would recommend trying a dram in a bar first before buying a bottle. 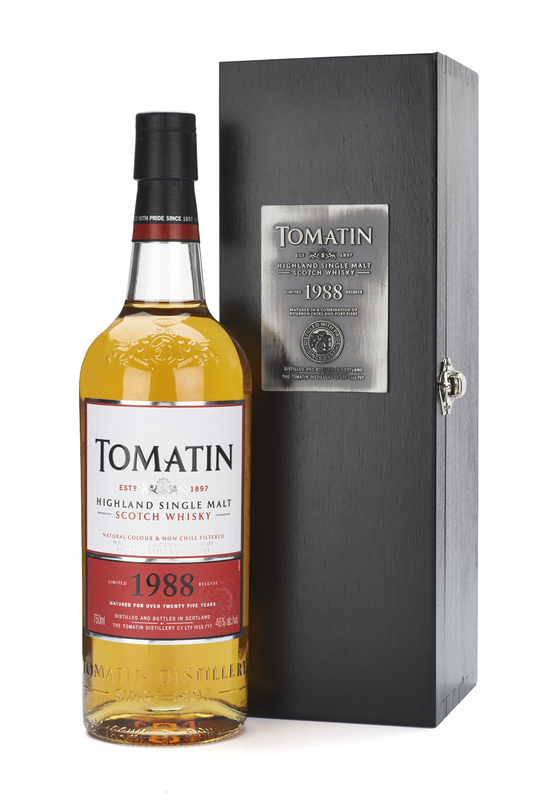 The Tomatin 1988 Vintage is an excellent whisky. A good £50 cheaper than the old 30yo (also very good) which I believe it has replaced, and so it is pretty decent value. If you want a great whisky, and you can afford it, I definitely recommend trying it! With these two ex-Port styled additions the Tomatin core range is shaping up to be a pretty strong team. This entry was posted	on Tuesday, July 1st, 2014 at 8:48 am	and is filed under Reviews. You can follow any responses to this entry through the RSS 2.0 feed. Responses are currently closed, but you can trackback from your own site.